VIDEO: Krauthammer Rips Obama a New One… Again. How Many is That? Obama is totally in denial and the American people are paying the price. 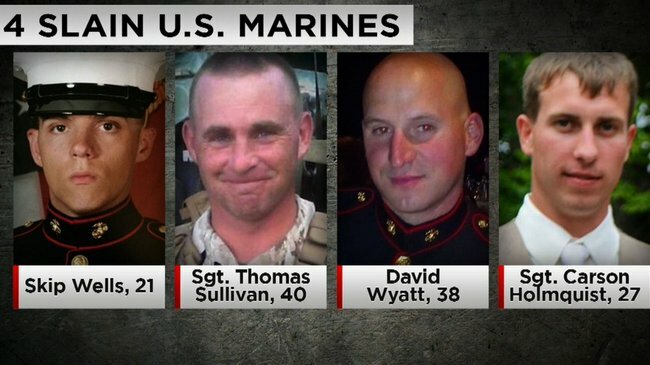 The latest Americans to pay the price are four Marines and one Navy man in Chattanooga. Do not forget that. Ever. Now then, back to dead Marines at the hands of Islamic terrorists. Here’s Charles Krauthammer who summarizes everything quite nicely. Krauthammer contended that by calling the shooter a “lone gunman,” Obama “disconnected the dots.” And made sure the major media, who relies on Obama or the DNC for their talking points, had their marching orders. Don’t expect to hear a whole lot about how “the Religion of Peace” is tied to this.